Populism both right and left is on the rise in Europe. The headline is dramatic but not unusual among the populist leaders of Europe. It was from Matteo Salvini of Italy’s Northern League. The dramatic victory of Greece’s left wing Syriza Party highlights the growing clout of anti-establishment and nationalist populism in Europe. The party leader, forty-year old Alexis Tsipras used a variety of slogans around “our national humiliation will be over.” Expect all left and right wing populist parties to take heart that the EU is now in trouble. Populism is a label that describes a variety of political movements of both the right and left. It is a philosophy characterized by anti-establishment rhetoric and a claimed respect for the common sense views of the public. Populism is not aligned with traditional parties, partisan ideologies or mainstream solutions and polices. But it has become the dominant European political force at the moment and is challenging most of Europe’s governments and established politicians and parties. 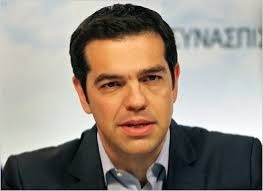 The stunning victory of left wing Syriza party and its charismatic young leader Alexis Tsipras (40-years old) is the result of five years of austerity and massive loss of personal and national Greek wealth. Although pre-election polls showed the Syriza was going to win, late momentum got them close enough to a majority to easily form a government (joined with right wing, anti-austerity ANEL Party that won 13 seats). nor are they nearly as far left as Syriza and most of its new parliamentary members. What the public wanted is a tough negotiator for a new deal with Brussels and Berlin (technically must deal with ECB, IMF and EC). Tsipras ran a very brief and smart campaign using basic populist themes with anti-establishment and nationalist slogans. He also affectively rallied the left. Our national humiliation will be over soon. History is knocking at our door. The time of the left has come. Our common future in Europe is not the future of austerity, it is future of democracy, solidarity and cooperation. Hope is coming. The opposition are merchants of fear. The vicious cycle of austerity is over. The President’s State of the Union address and Speaker Boehner’s invitation to Benjamin Netanyahu to address a joint session of Congress underscore an entirely new level of dysfunctionality in Washington. 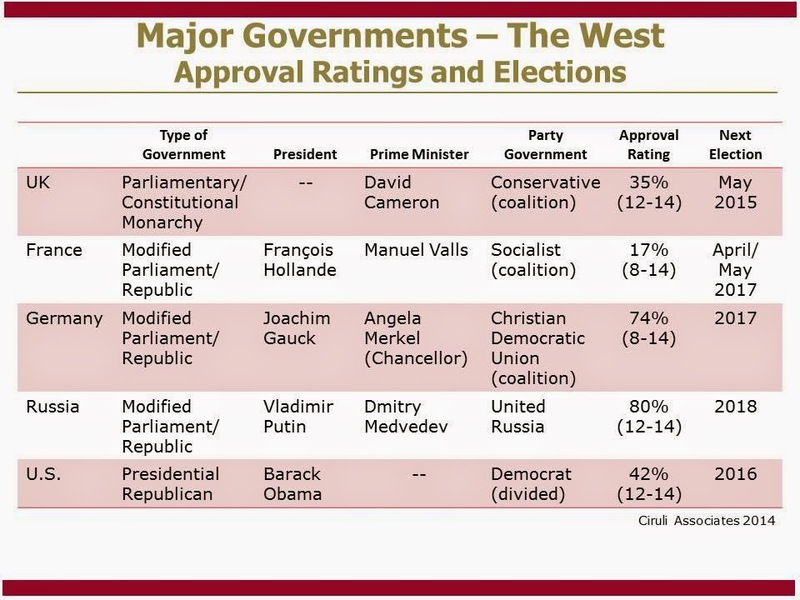 We now have two distinct governments in Washington, each with its separate elections, constituencies and agendas. 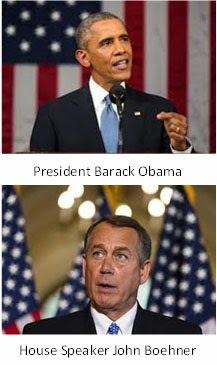 The White House and Congress operate on different political planes. The White House dominates a presidential electorate, the Republican Congress is mostly a product of the 2010 and 2014 mid-term elections. For Democrats, their base is concentrated in large cities, especially on the two coasts, and in college campuses and communities of color. And Republicans win much of the broad interior, more rural areas and the Anglo population, especially among the white and blue collar working class. Democrats focus on such issues as global warming and income equality, and Republicans focus on energy independence and economic growth. They are at odds on international policy, such as negotiations with Iran. President Obama offered no recognition of the devastating loss his party suffered in 2014--from state legislatures to the U.S. Senate, culminating in a blow to the Democratic Party not seen since 1928 pre-Roosevelt levels of power. Obama does not believe they were his losses. In fact, the White House believes Democrats would have been better served in last fall’s campaigns to have embraced Obama and his policies, such as the Affordable Care Act. Tellingly, he joked near the end of the speech that he has won two national elections (running on his issues and supported by more than half the electorate). It was difficult to find any interest in passing legislation in Obama’s tone or substance. His speech was essentially addressed to his core constituents and those establishment Democratic officeholders running 2016. Any of the greater public who wanted relief from the gridlock were provided some bromides toward the end of the speech but little recognition of the problem or strategy to address it. The Speaker’s invitation to Netanyahu highlights that Congress and the President both now have their own foreign and domestic policies. Congress’ first legislation will be the Keystone XL Pipeline, which Obama has already promised to veto. Both sides know that the basic functions of government need to continue or the public gets very hostile, but the existence of two very separate governments will likely continue until the public concern about dysfunction reaches crisis proportions. All is well in Colorado. The economy is booming, unemployment is down and tax revenues are substantial. But, as Governor Hickenlooper recounted in his inaugural address, all sorts of unanticipated events could darken our bright outlook. 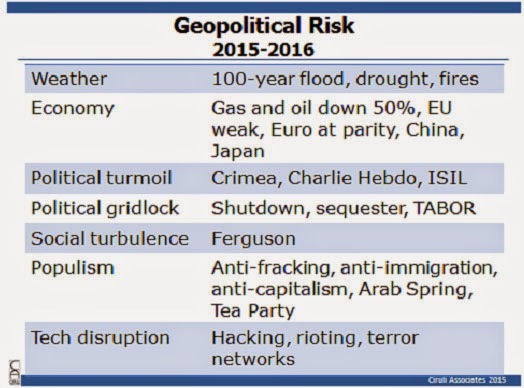 The following seven concerns are geopolitical risks that loom over Colorado’s tranquility in 2015. Weather – Colorado has been especially subject to extreme weather, ranging from the 500-year drought in 2002 accompanied by devastating and reoccurring fires, to the 100-year flood in 2013. Economy – The U.S. and Colorado economies in 2015 appear to be in sustained recoveries, but a host of worldwide factors could produce volatility and make a new downturn possible. In the short run, the 50 percent drop in oil price is disruptive. While a substantial longer-term benefit is expected, a worldwide recession could mask it. Oil’s freefall is partially caused by the decline in demand. The drop in demand can be traced to a number of economic strains internationally, including: Parts of Europe are in or near recession and price deflation; oil producing countries face deficits and defaults; China and emerging markets are slowing; and Japan’s takeoff continues to stall. The EU’s economic troubles are helping fuel a major political challenge to the concept of a union. Neither the U.S. nor Colorado can maintain prosperity if the world economies decline. Political Turmoil – The first weeks in the new year have highlighted the political turmoil and national crisis that three determined people with Kalashnikov rifles can cause. France came to a stop and now will spend hundreds of millions of dollars in new security procedures and hardware. Also, Putin is not be through with causing political turmoil in the Ukraine and Central Europe. Political Gridlock – The October 2013 partial shutdown of Washington D.C. demonstrated how fragile the federal behemoth is to polarized politics in this era. In Colorado, the TABOR tax-limitation amendment is a form of constitutionally mandated gridlock, which has both advocates and opponents. Social Turbulence – Ferguson is an example of the power of a local incident rapidly gaining national and international attention to the detriment of local establishments and solutions. 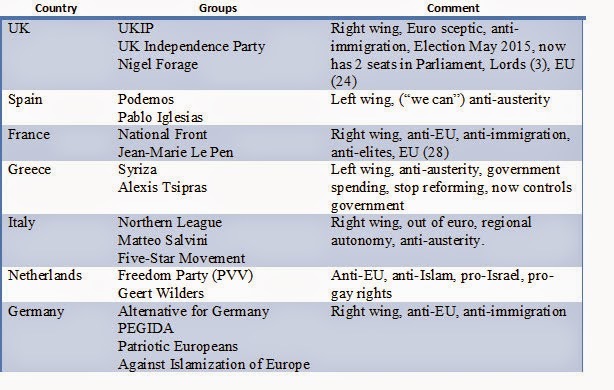 Populism – Anti-establishment and anti-immigration parties are on the rise in Europe and are threatening the survival of the EU experiment. In the U.S., the rapid emergence of the Tea Party and Occupy movements show how quickly new social groupings can disrupt normal political and economic activity. In Colorado, an anti-fracking movement continues to threaten one of the state’s leading industries and the Democratic Party establishment. Tech Disruption – Much of the geopolitical risk described in this post was aided and abetted, and in some cases, launched by social media and new mobile communication devices. The world has borne witness to the power of widespread access to communication--both its magnificence and its malfeasance. Meanwhile, if hackers have their way, they can seriously harm national security and the way many of us now conduct business. Leaders from around the world are creating opportunities and problems for the global community. The start of 2015 highly focused on the world’s economy, with slowdowns in Europe, emerging markets, China and Japan. Terror, especially Islamic inspired, dominated January news. 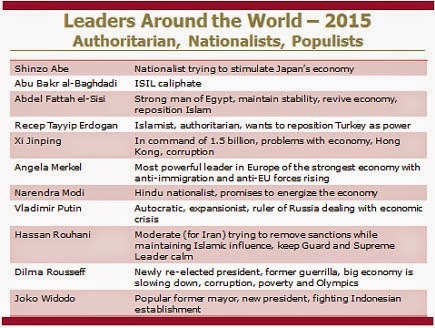 Eleven leaders listed below will be important to the main themes in 2015. Some are newly installed (Widodo, Modi, Sisi), some recently re-elected (Abe, Erdogan, Rousseff). Many are presenting new populist, nationalist and authoritarian approaches to their constituents and neighbors. One is just trying to maintain the system in which her country thrives (Merkel). No single U.S. problem dominates public opinion as President Obama delivered his last State of the Union speech before the race to replace him heads to Iowa (Iowa caucus Jan. 18),. Satisfaction with direction of the country as Obama speaks has improved, up 9 points since December (32% today, up from 21%). The uptick in the economy has finally caused the public to move the economy to second place and jobs and unemployment to fourth place on the latest Gallup poll (Jan. 2, 2015). 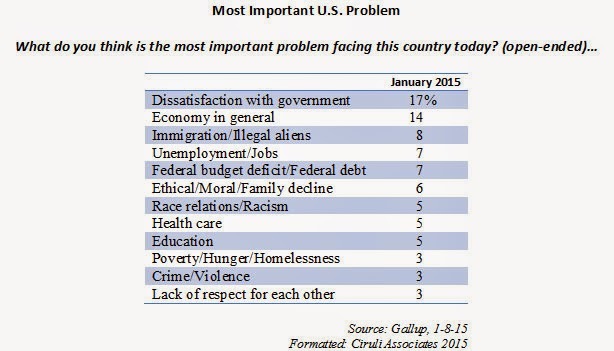 Dissatisfaction with government is the top issue, with health care and immigration in fourth and fifth place. In Gallup’s open-ended question, “terrorism” was not mentioned. When a list is provided to respondents to rank their priorities, terrorism is first. See Obama’s State of the Union – Terrorism. Pew Research reports that terrorism has now surged to the top position in the public rating as the top priority for President Obama and Congress (Jan. 11, 2015). As reported by Pew, the public’s views on the economy have improved and the economy as a top priority, while still high, has dropped 11 points since January 2013 (5 points since Jan. 2014). Although Obama mentioned terrorism, domestic issues dominated his next to last State of the Union. 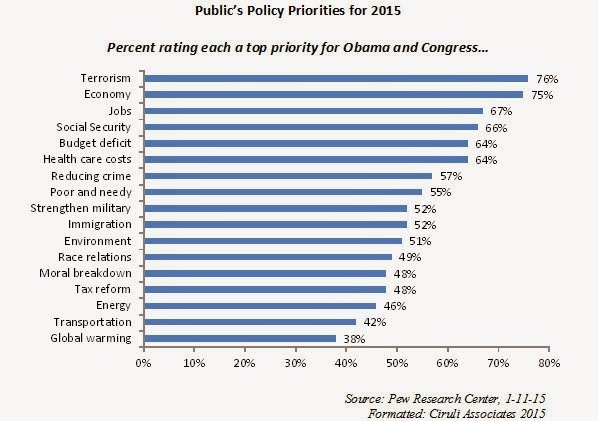 There are strong partisan differences over issue priorities. Republicans are more concerned about the terrorism and strengthening the military than Democrats. 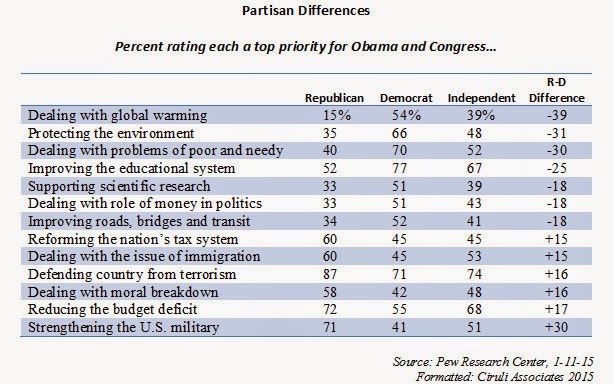 Global warming, the environment and the poor get more attention from Democrats than Republicans. 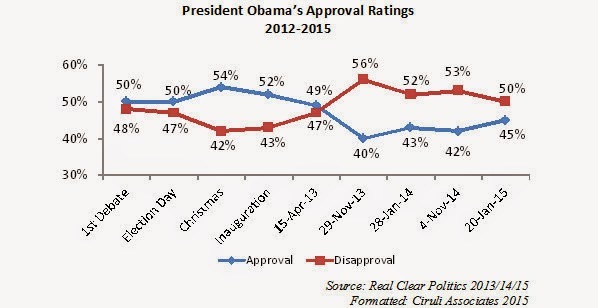 President Obama’s approval rating has been creeping up since mid-December and is 45 percent in the Real Clear Politics average with 5 percent negative spread. On Election Day, November 2014, his approval rating was 42 percent with a negative 11 percent spread. His approval rating is dramatically better than prior to his last State of the Union when he was coming off the poor roll-out of Obamacare and there was a general consensus that Democrats could lose the U.S. Senate in November – they did. The Real Clear Politics average is a lagging indicator. Several new surveys have Obama’s approval at or near 50 percent. The anti-fracking movement in Colorado may be in trouble due to the plunging gas prices. 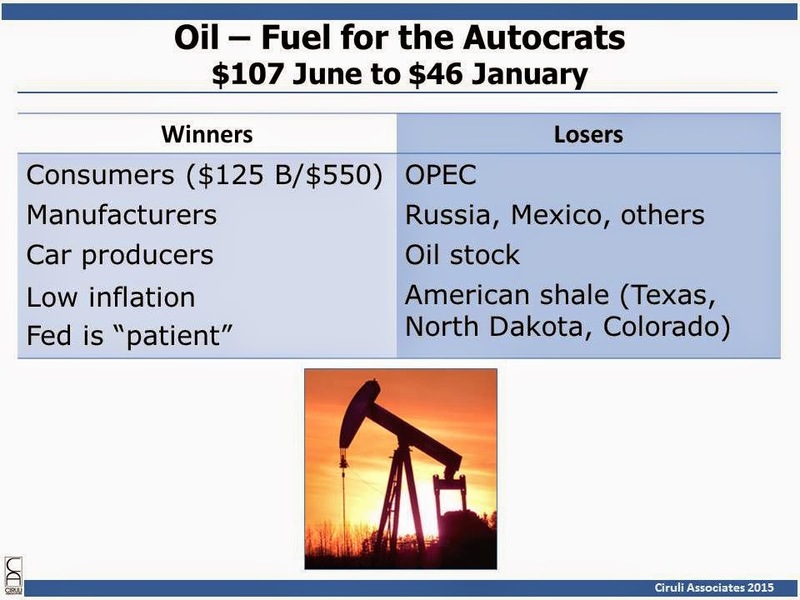 A two dollar gallon of gas and $46 barrel of oil depresses the momentum of anti-frackers as much as the revenue of the industry. Exploration is going to be curtailed. There will be less new drilling activities in general and especially where costs are higher, including political costs (i.e., near urban areas). The threat to populations is declining, reducing NIMBY sentiment. The cutbacks will affect jobs, government revenue and business activity. Gas and oil activity and revenue have been a major contributor to Colorado’s recovery, including downtown Denver and the north and east suburbs. Maintaining the industry will be seen as even more important and it will be seen more sympathetically. Who wants to cause more economic difficulty for the industry at this time? The politics, especially for Democrats, get more difficult. Anti-fracking always appeared to be anti-jobs. With the industry contracting, Democrats are more vulnerable. The Governor’s task force on fracking decisions concerning new regulations are due February 27. Even a modest effort to increase local control or limit drilling may be endangered. The urgency of regulation is declining. driven by the timeline. A TABOR decision needs to be made before the state budget can be developed. Although Governor Hickenlooper cited the Colorado conundrum of returning surplus when there is inadequate funding for various projects and programs, it is clear neither he nor Democratic legislators intend on taking the lead to place a TABOR timeout on the ballot. Both are gun shy of tax increases given the experience in 2013 with Amendment 66 (billion dollar tax increase loses 2-to-1) and last November’s tough elections. One of the strongest advocates for taking on TABOR, former Democratic Governor Roy Romer, was in office when TABOR originally passed in 1992 in spite of his opposition. It is not clear the business community is willing to take on a TABOR election. The 2005 Referendum C five-year timeout was a major effort and barely won. Importantly, there is no Republican governor to campaign for it. Governor Owens’ support made the difference and he was criticized endlessly for his effort by the Republican right. Today, Republicans will be uniformly against it. The precipitous drop in the price of crude oil (down 57% since July 2014), now $46 a barrel (WTL) is contributing to the high volatility and weak market opening in 2015. 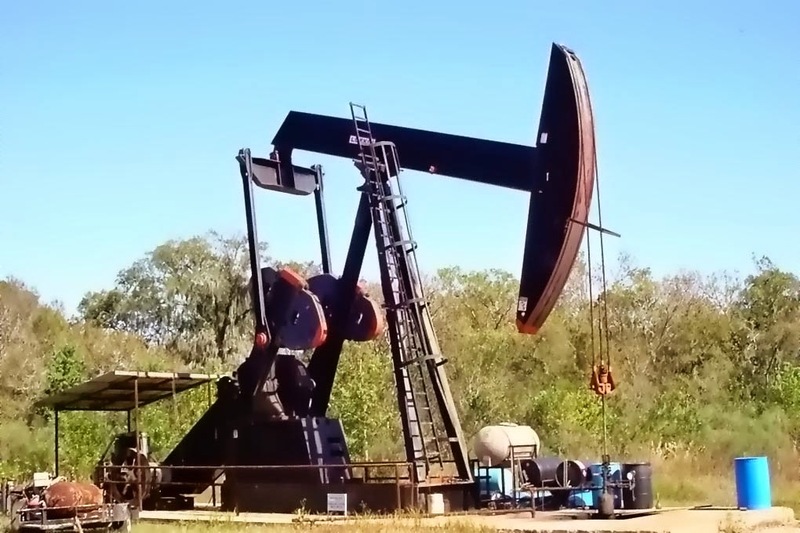 Although the Federal Reserve is optimistic that lower oil prices will spur demand (it’s like a national tax cut worth at least $125 billion to citizens, or up to $550 per family), oil and the American boom in production has also been a stimulus for local economies and major industries in the stock market. The price collapse affects earnings, dividends, investments in new production and, of course, stock valuation. Along with American consumers, other beneficiaries of cheaper oil are manufacturers, especially car production and most transportation modes. The lower inflation helps allow the Federal Reserve to be “patient” with its plan to raise rates. Fed sees oil price collapse a net benefit, like worldwide tax cut, but significant disruption in major producing nations and for many oil-related industries and stocks. U.S. (12 mbd) and Russia (11 mbd), the two largest producers, with Saudi Arabia (9 mbd) in third (9 million barrels a day (mbd)). Saudi Arabia’s (SA) goal of allowing price to drop is to drive the more expensive new players out of the market (e.g., fracking). U.S./SA relationship important, but not close. They are unhappy with the Redline (Syria) decision and Iran nuclear talks. Organization of Petroleum Exporting Countries (OPEC: Algeria, Iran, Iraq, Kuwait, Libya, Nigeria, Qatar, SA, UA Emirates and Venezuela). Various analysts believe $40 is not necessarily the floor and that the 2015 price average could be less than $60. Colorado, including the metro area and downtown Denver, will feel the effect in 2015 much sooner than any expected aggregate benefit to the economy from lower pump prices. 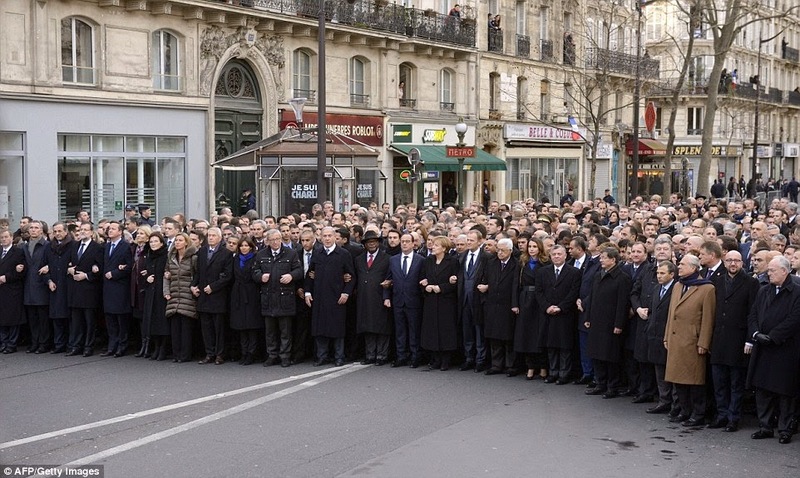 The White House is taking fire on President Obama’s no show at the Place de la République. Reviewing the picture caption highlights the American absence. The following is a summary of the various reasons proffered for the failure to participate. The main theme that emerges is the administration’s view that terrorism is a problem, but does not rise to the status of a war or require a “war”-type of solution. Lead from behind. We have less power and are not liked. New environment requires stealth. Obama and White House advocate diplomacy, but are not good at it or its “optics.” August beheading and golf. “Wars on Terrorism” are top down and have failed. Best to use bottom up approach; i.e., social work, education, mental health, etc. 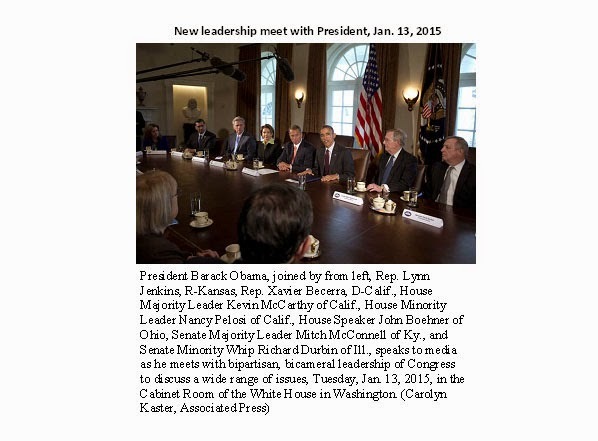 Hold a summit on extremism and talk about what works and not works (Feb. 18, 2015). Mollie Hemingway offered a good review of many of the administration’s views and columnists’ reactions to the Paris behavior. The battle for control of the U.S. Senate in the next election cycle has already begun. In 2016, Democrats will need to win five seats to take back control (regardless of who wins the presidency). They will have the geographic advantage with only 10 seats up for election, while the Republicans must defend 24 seats. And seven of those Republican seats are in states President Obama won twice (Florida, Illinois, Iowa, New Hampshire, Ohio, Pennsylvania and Wisconsin). This election will look like the inverse of 2014. But Democrats do have to play some defense. They must hold Harry Reid’s seat in Nevada and Michael Bennet’s seat in Colorado. And, although Bennet may begin the race in a better position than his recently defeated colleague Mark Udall, he is already targeted by the national pundits (Bennet on List of Tough Re-elections). By all accounts, Colorado will be a presidential battleground state and Bennet’s chances will rise and fall with the presidential race. The battle for the 6th Congressional seat could flare up again if Congressman Coffman elects to challenge Bennet, or if the Democrats can find an exceptional candidate. Turnout will be better for Democrats in 2016 than it was in 2014. The Colorado Legislature will also have several highly contested races. Republicans want the House and hope to pad their one vote margin in the Senate, and Democrats want to regain the senate majority. 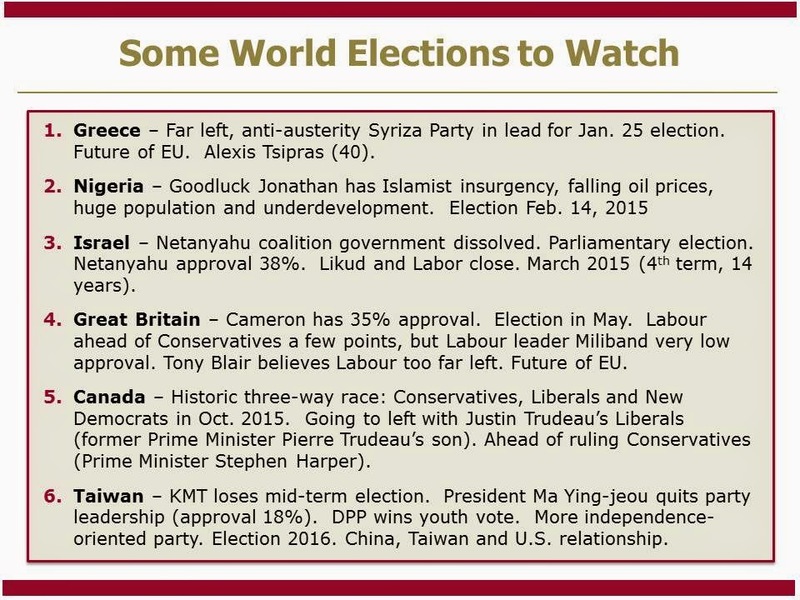 There are a host of elections in 2015 that could have significant effect on foreign affairs and the world economy. Stress in the EU – Two elections in Greece in January and Great Britain in May that may begin the disassembling of the great European experiment in unity. Middle East – Israel is heading for a parliamentary election in March that, as of now, will extend Prime Minister Netanyahu’s mandate. But, Israel’s position is becoming more tenuous due to world opinion support for a Palestinian state. Africa – An important, but fragmented country will have a February election. President Goodluck Jonathan, a southern Nigerian Christian, will run for re-election in a divided country with an active insurgency. Far East – Taiwan’s presidential election isn’t until 2016, but there could be a change of party that will shift away from rapprochement with China that characterizes the ruling KMT. 9KUSA – Brandon Rittiman and Floyd Ciruli review the 2015 legislative session. Colorado legislature is a microcosm of the state’s politics. It has some of the state’s most thoughtful and articulate leaders and some of its most extreme. The state legislature was run by a Republican rural and Front Range suburban coalition for forty years from the 1960s. Democrats, early in this century, were able to wrestle control with money and very smart campaigns. Twice in the last decade they have controlled both houses and in 2013 they pushed through major elements of the Democratic agenda on gay, Hispanic and labor rights, renewable energy mandates and gun regulations. With their leadership and agenda challenged (their senate leader was recalled), they lowered their profile in 2014, but still lost the Senate by one vote. They held the House. In 2015, the split legislature and the Republican 2014 election victories have produced a much more restrained environment. Governor John Hickenlooper, who won a close re-election, appears to be starting the year cautiously. 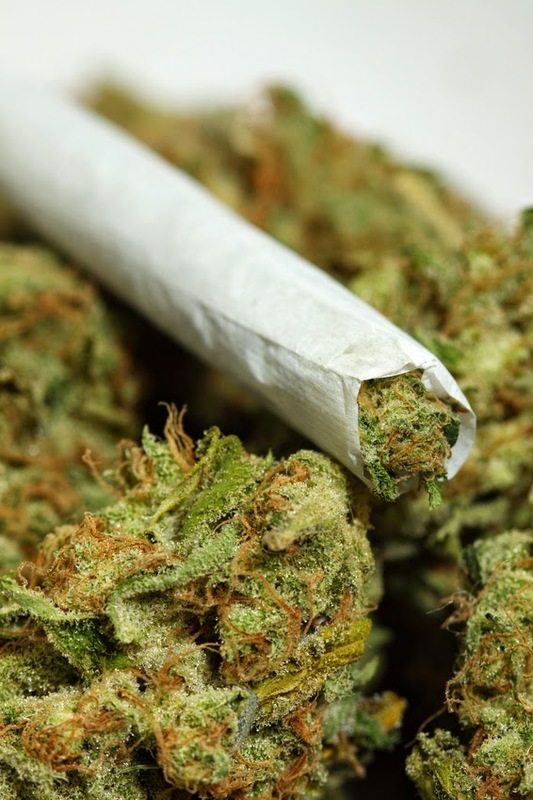 Marijuana – Public divided, not happy with state regulations. “The doomsday scenarios did not turn out,” Ciruli said, referring to predictions of a spike in consumption by both adults and minors. “Much of their motivation is to restrict access to what is a very lucrative business,” Ciruli said, adding that pot isn’t unique in this regard for Colorado. “Trying to restrict access is exactly what cartels do. You see it in gaming in this state. You see the current gaming industry always trying to keep out any additional gaming. You see it in liquor.” “We need to be very happy with what we’ve created because changing it is extremely difficult,” Ciruli cautions of the battle over who will be allowed to grow and sell cannabis. Housing – Construction defects major issue for developers, trial lawyers and Republicans. “The Republican party is very unhappy with it. It hurts the development community and I think they argue, contributes to these high prices and the shortage of housing,” Ciruli said. “But the Democrats are sensitive to that, too. They also receive a lot of benefit and support from various developers in their counties and communities. They also have high housing prices and they have housing shortages.” “No doubt things will cool off as developers begin to build into this good economy, but it takes time,” Ciruli said. A new federal report shows regular (monthly) marijuana usage in Colorado increased from ten to twelve percent (10.4% to 12.7%), ranking the state second highest after Rhode Island. That equals about 530,000 frequent users. State studies show daily users are about a fifth of the group and account for more than half the pot sold (67%). The number of heavy users is supposedly increasing. Reliable data on the impact of commercializing pot use is still hard to find. Even the Denver Post, the paper of record for marijuana legalization, editorialized concern about the growth in usage. And the public hasn’t changed their mind after a year of commercialization and two years post the November 2012 passage by 55 percent. They are still closely divided. A new Denver Post automated survey of 800 shows most of the respondents would vote the same way (90%). And like people nationally, more than half of the state’s voters would favor a national law for legalization. But 38 percent believe the state’s reputation was negatively impacted. 53% believe state regulatory performance is either fair or poor. 42% only said it was good or excellent. Two-thirds rate educating young as fair or poor. 22% use marijuana, more men, under 50 with high school education or less. 78% smoke it. Surveys during last November’s election showed Colorado voters closely split on their support and opposition to legalization, with younger voters much more in favor than older. But, commercialization has set in. The industry gives campaign contributions, has an army of lobbyists and acts as a cartel trying to limit new competitors. Coloradans hopefully like what they have. It will be hard to get rid of it. The rise of anti-establishment populist movements, both right and left, in Europe is beginning to pull the great edifice of European unity down. In May, the British Conservative Party will be facing its electorate. David Cameron’s approval numbers are in the mid-30s, lower than President Obama’s, and a faction of his party on the far right are campaigning for the UK to leave the EU. To hold his party together, Cameron has promised a referendum on EU membership in late 2017. And he believes leaving the EU can only be defeated if he can secure significant concession from Brussels on various issues, such as trade and worker movement. British opinion appears to be closely divided on staying in or out (41% to 41% in the latest YouGov polls). From the far left, Greece’s Syriza Party (40-year-old leader Alexis Tsipras) has just forced an election on January 25, which could lead to Greece’s rejection of EU, ECB and German bailout agreements. The Greek left argues against additional austerity. They want more spending, at least another $1.6 billion, on social welfare needs, such as food and energy subsidies. Unfortunately for the Greeks, a deal with them would embolden anti-austerity parties in Spain (Podemos) or Italy (Five Star Movement) so Germany will not easily give in. Germany’s main threat is to kick Greece out of the euro zone. Anti-establishment attitudes, combined with anti-austerity politics, have put the EU on the defensive.